Zest-it Acrylic Brush Cleaner and Reviver. Use Zest-it Acrylic Brush Cleaner and Reviver to clean Acrylic residue from your brushes and/or revive brushes stiff with dried Acrylic and bring them back to life. Wash brushes after cleaning with soap and water and allow to dry. Will remove most paint and ink Acrylic based products, will also remove Acrylic from hard surfaces and canvas/paper, wipe with a damp cloth to remove cleaner, allow to dry. Wear Nitrile gloves if skin is sensitive and eye protection if splashes are likely. For more information on this product, see our product information page. 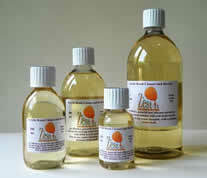 Available sizes - 125 ml up to 500 ml.